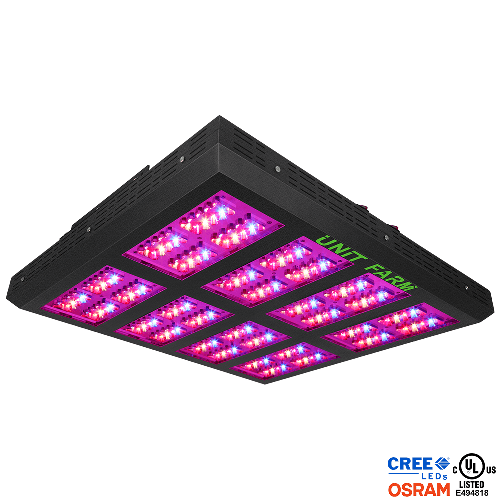 The UFO Series is comprised of two top brand LED chips, CREE and OSRAM, constructed with the perfect mix of Cree XPE series bin L1-R20-P2-C-01 and the Osram OSLON series bin 3T-1-0-350 660nm Light Emitting Diodes. Two modes of control for independent veg and flower cycle, or combine both modes for plant growth from start to finish. The full photosynthetic spectrum give your plants their ideal spectral ratios from seed straight through to harvest. 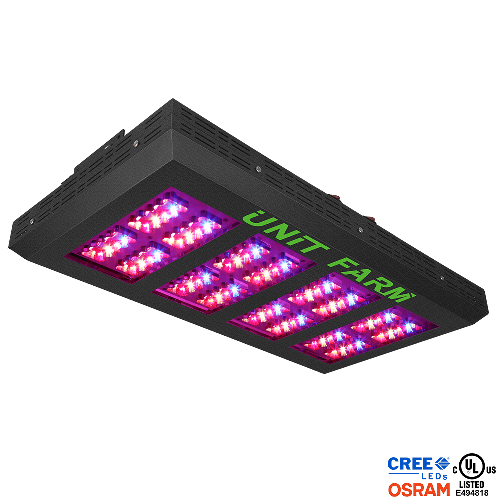 This UFO Series led grow light will cultivate record breaking yields, both in quantity and quality with superior quiet, low heat running, and substantially reduced power consumption. 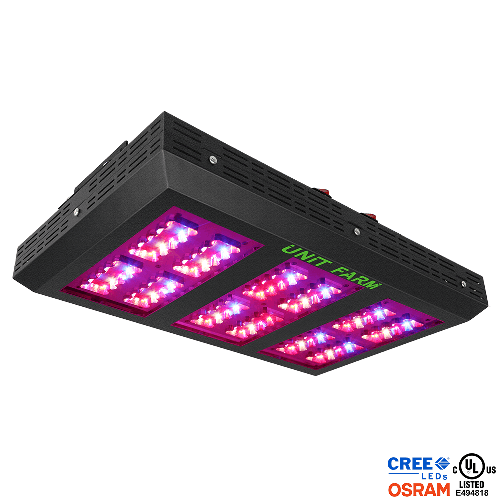 Featuring the highest PAR and Lumen per watt of any other LED grow light on the market, our design will produce higher PPF and PPFD output than our competitors, ensuring a grow of happy and healthy plants for years to come. 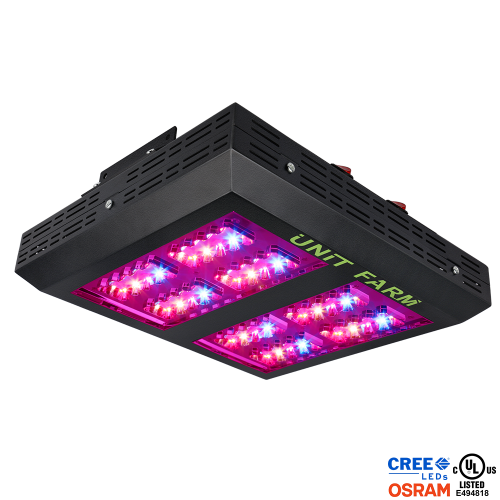 The UFO series boasts a larger area coverage than those of competing LED grow lights and now equals that of traditional grow lights. A competitive and cost effectively priced product, along with our guaranteed service warranty will ensure the continued satisfaction of our customers. Unique and perfect combination of Cree and Osram chips in the market. High Bin quality: Cree L1-R20-P2-C-01, Osram 3T-1-0-350. Unique no-glass design delivers increased light to your plants. Excellent heat sink among LED grow lights provides superior cooling and increased LED life. Cool jagged design and tough construction.